Even under the best circumstances, moving house is a very stressful time for everyone – particularly for our feline friends. 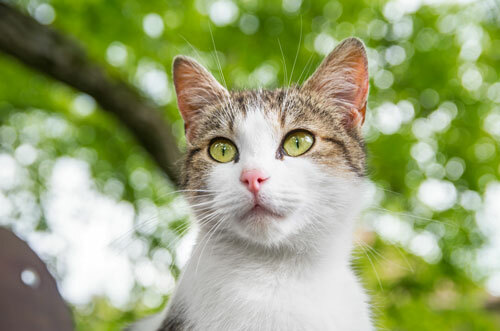 Different to dogs, all the packing, the routine changes, and those strange smells at your new home are reason enough for cats to stress and feel anxious. 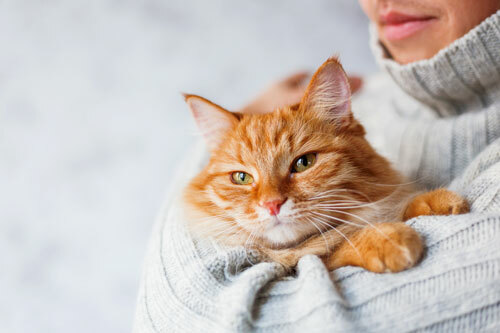 Not only can cats show signs of aggression, house soiling and excessive meowing or crying, cats also form definite attachments to places and often try to return to their old home. But with our 6 tips for moving house with a cat, we ensure your move will be stress-free as possible, and guarantee your cat will accept their new address in no time. 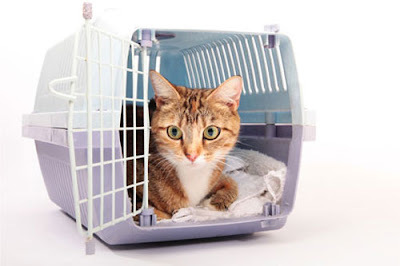 It may be useful to place your cat in boarding the day before you move and bring them home when everything is a little more settled. This will avoid the risk of your cat escaping and going miss, plus it allows you to get furniture set up and in place, before adding your cat into the mix. This will also allow for a much calmer environment to bring your cat home to and begin to become familiar with. Whether your cat voluntarily gets inside their carrier, or is nearly impossible to get in, bring it out a few days before your moving date. Many cats will eventually start to explore this strange new space, and may even start sleeping in there (try putting a clean towel inside). You can even start feeding them close to the carrier, to help them become a little more comfortable around it. And when the moving day does come around, make sure their carrier has a nice absorbent towel base – as some cats are known to soil themselves out of fear or stress. Cats see and experience the world a lot differently to us. They see things in clouds of different scents, so when we pack, move furniture and introduce them to a new environment, their whole world changes. Their senses are practically bombarded with new stimuli. This is quite a traumatic time for them, as cats like routine, patterns and predictability – basically they don’t like change. 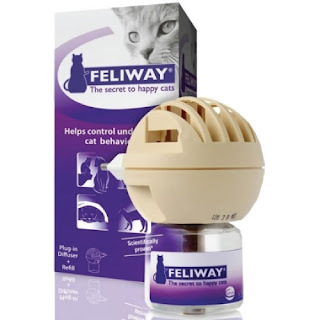 So to make things a little easier for them, try using a Feliway Diffuser prior to the move and plug it in somewhere your cat spends most of their time. A good idea is to also plug one in at your new house (ideally 24 hours prior to your cat’s arrival) and set them up in a small room of the house. That way they will be exposed to the pheromones in a small space, and allow them to experience the changes in a slightly better frame of mind. 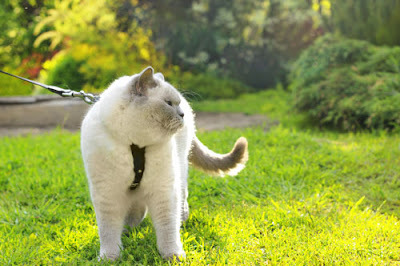 Make sure your cat is microchipped and wearing a collar with a pet tag that is up to date with correct phone numbers. If they are home on the moving day, restrict them to a small and quiet space in the house (laundry, bathroom or bedroom). Try to keep your cat’s routine as similar as possible and don’t forget to schedule some cuddles and playtime at the end of a long day. If you’re travelling a far distance by car, consult your vet about any health concerns that could impact your cat’s well-being. Avoid feeding them breakfast on the morning of the move as this may contribute to an upset tummy. Keep your cat safely enclosed in their carrier until you're in an enclosed room at your new place. And try not to open the carrier to ‘comfort’ them during transit as they may make a quick dash and try escape. Do not leave your cat unattended in a hot car or out in the sun in their carrier. A car can heat to dangerous temperatures within 10 minutes, even on a relatively mild day. Avoid putting food or water in their carrier, unless you are planning on being on the road for more than 12 hours. For lengthy journeys, ensure the carrier is big enough for a littler tray and have food bowls that ideally can be refilled from the outside, and won’t spill during transport. Set your cat up in a small room; the bathroom or laundry are ideal. And let them get use to this one small space where they have food, water, litter, Feliway, plus some things that smell familiar – basically set it up like a nice cosy home. After a few days, let you cat suss out another room, and gradually allow them to explore their new environment. Do not let your cat outside for at least 2-4 weeks after a move. And when you do decide to let them out, make sure the initial access is supervised and ideally just let them out into a fenced area. Cats are easily startled and will often dash out into another cat’s or dog’s territory or the road. Some cats have been known to return to their old homes, so the longer you keep them inside, the better. Avoid letting your pet outside after dusk and before dawn to comply with the RSPCA recommendations to not only protect your cat, but the wildlife too. Overall, you can’t help that your cat is a creature of habit, so moving can be quite stressful for them. We do hope that these tips will help to make the whole process a little easier, and smooth as possible for you and your feline friend. For more pet health tips, visit www.vetshopaustralia.com.au/pethealth.